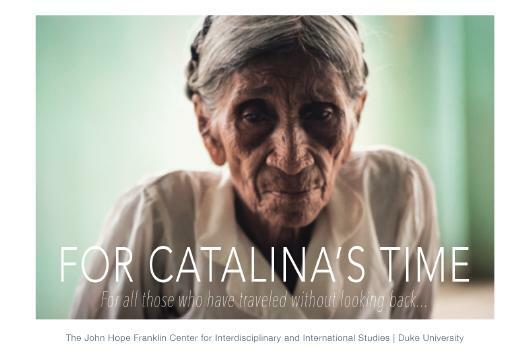 For Catalina's Time is a time-based series of photographs and footage by anthropologist and filmmaker Sandra Luz Barroso. The exhibit is complemented by ten pieces of graphic work made by Oaxacan artists titled ARTEZA (Trough). The exhibition is part of the process of completing the documentary ARTEMIO (2017) by Sandra Luz Barroso.